Thank you very much, President Obama, for the warm welcome and hospitality in the magnificent city of Chicago. 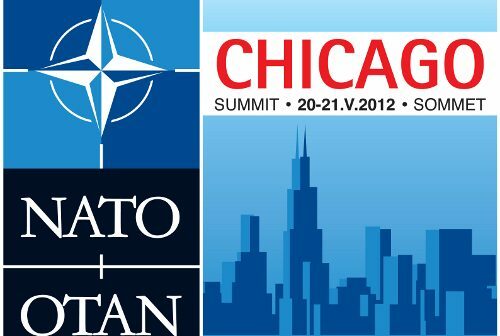 It is a pleasure to be addressing this important summit of the NATO Alliance, the ISAF contributing countries and other partners from around the world. The road that has led to this important juncture in the partnership between Afghanistan and the international community started right here in the United States over a decade ago when, in the aftermath of the 9/11, the world coalesced around the objective of eliminating international terrorism. Much has been achieved in this struggle, including in the fight against Al-Qaeda, as well as in helping Afghanistan rebuild from the rubble of war and turmoil. The Afghan people are grateful to all the nations represented here today, who have supported Afghanistan over the past decade so that we could send our children to school, improve the health and living standards of our citizens, and lay the foundations of a vibrant democracy and a prospering economy. Your support has helped Afghanistan assume its rightful place in the community of nations. Our achievements would not have been possible without the sacrifices given by the Afghan people as well as the many young men and women of the various countries who have come to help us. However, as we celebrate our shared achievements of the past decade, we must not overlook the immense sacrifice and suffering of the Afghan people and we must address the shortcomings of the approach in fighting terrorism. The war on terror has narrowly focused on Afghanistan where Afghan villages and towns have suffered terribly from an unending stream of violence, whereas terrorist safe havens, training camps and support networks, have remained untouched beyond Afghanistanâ€™s frontiers. More than a decade into this fight, terrorism remains a serious threat, and extremism and radicalism are on the rise. Spreading across societies in the region, these menaces, as we all know, have dire consequences not just for the stability of Afghanistan and Pakistan but also for the security of the region and the world as a whole. While lessons of the past must be learned, it is the future of this critical partnership between Afghanistan and the international community that must be the focus of this important Summit today. In looking to the future, I consider the ongoing Transition process in Afghanistan to be the most important strategic priority in our joint efforts. Long before the launch of the Transition framework two years ago in Lisbon, I had voiced the strong desire of the Afghan people to regain control of their destiny and to be responsible for defending our own homeland. Less than one year since the process of Transition was launched last July, the Afghan National Security Forces have assumed lead security and protection responsibility for half the Afghan population. Over the next six months, the ANSF area of responsibility will reach 75 percent of population across all of Afghanistanâ€™s 34 provinces. The recently signed Memoranda of Understanding between Afghanistan and the United States, bringing night raids and detention centers under Afghan authority, is a significant development in the Transition process, as well as a sign of respect for our sovereignty. We see the fulfilling of the Transition benchmarks, including the complete transfer of responsibility by mid-2013 and the withdrawal of International Security Assistance Force by end-2014, not only as a step forward in our security strategy, but also as a necessity if our country is going to achieve lasting peace and self-reliance. We see an irreversible Transition as a duty we owe to the men and women in uniform from your countries, to whom we are grateful, who need to be relieved of a responsibility that we Afghans ought to shoulder ourselves. An irreversible Transition in Afghanistan will also depend on continued support and cooperation from our NATO allies and other partner countries. Such support, particularly in training, equipping and capacity development of the ANSF, would be crucial to Afghanistanâ€™s ability to defend itself against any external and internal threats. 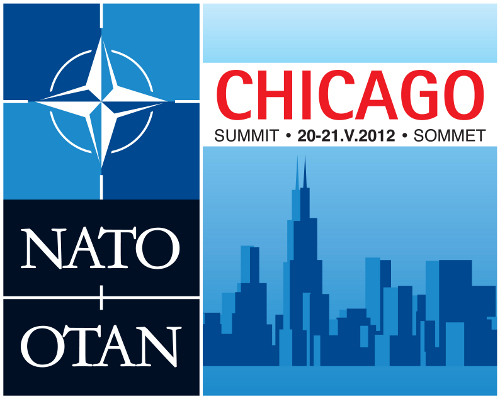 In this context, we welcome the shift in NATOâ€™s role from combat to a new training, advising and assistance mission . We look to the ISAF coalition partners and the wider international community to provide the Afghan Security Forces with the required enablers including advanced Counter-IED, enhanced logistics, intelligence, air assets, as well as the capability to secure Afghanistanâ€™s airspace. I commend the leadership and vision that NATO and its member states, particularly the United States, have shown in putting together a long-term support plan for the ANSF. I believe the estimated annual cost of 4.1 billion dollars for the ANSF in the post-Transition period is a sustainable figure. In this context, I reiterate the Afghan Governmentâ€™s commitment to contribute 500 million dollars towards this objective, as well as our commitment to increase this contribution over time as our economy becomes stronger. As for the remaining 3.6 billion, I hope this conference will produce firm international commitment for contributions in the period after 2014. I also emphasize the importance of creating new mechanisms for spending these resources in a way that is efficient, cost-effective and flexible so that Afghan institutions gain maximum benefit from international support. We are grateful to Germany for hosting last yearâ€™s Bonn Conference on Afghanistan. At that conference, my government and the international community committed to a vision of long-term partnership encapsulated in the Transformational Decade 2014-2024. The Transformation Decade is critical to securing our future and moving Afghanistan towards greater self-reliance. In this context, we see an enduring partnership with NATO and our other allies as key to our long-term national security interests and important to our ability to contribute towards regional stability and international peace. Earlier this year, we signed long-term partnership documents with India, France, Italy, and the United Kingdom. More recently, we have signed partnership agreements with Germany and Australia. We have also concluded a landmark strategic partnership agreement with the United States of America, which will serve to shape the long-term relationship between our two countries for at least another decade to come. These partnerships mark a new chapter in Afghanistanâ€™s relationship with its allies. They signify a relationship between equal partners based on the mutuality of interests. We have entered these partnerships with a view to realizing the long-standing aspirations of the Afghan people for peace and stability. The credibility of these partnerships will depend on success in achieving peace and stability for Afghanistan. Consistent with our national interest, our partnerships with the United States and other countries are not aimed at a third country and will not pose a threat to the region. It is our genuine belief that these partnerships will be in the interest of stability and greater prosperity in the region. Furthermore, our vision for a stable and prosperous Afghanistan is fundamentally anchored in a region that is stable, economically integrated and conducive to shared prosperity. In this context, the Istanbul Process presents a unique opportunity for Afghanistan and its near and extended neighbors to engage in a sincere dialogue to build confidence and promote cooperation at the regional level. As part of the Istanbul Process, Afghanistan is committed to playing its role in bringing the region together in greater dialogue and partnership, and we hope the Process will continue to enjoy the confidence and support of our regional and international partners. In this context, we look forward to the Kabul Ministerial Conference in June as the follow up step to the Istanbul Process as well as to its further evolution thereafter. Another vital element of achieving lasting stability in Afghanistan is the success of the peace and reconciliation process, which we have pursued with particular vigor and commitment for many years. Building on the strong consensus that exists within Afghanistan for a peaceful end to the conflict, we have extended a hand of reconciliation to the Taliban and other militant groups. Subject to the principles we have laid out for a peaceful outcome, including renunciation of violence, cutting ties with terrorism, safeguarding the achievements of the past ten years and upholding the constitution, we will work to make the peace process inclusive and a genuine alternative for all those who wish to return to dignified lives in our society. Pakistanâ€™s constructive engagement and cooperation will be instrumental for bringing the Taliban leadership to the negotiating table. We believe that Afghanistan and Pakistan have strong mutual security interests to work together in order to defeat the terrorists intent on killing our people, undermining the sovereignty of our countries, and destabilizing our region. Over the past few years, we have closely engaged Pakistan to assist us with the peace process, and I am hopeful that the weeks and months ahead will witness more tangible measures in this regard. However, while Pakistan and other countries from the region and beyond have a role to play in supporting the peace process and ensuring its success, it is for the Afghans to fully own and fully lead this process. The Transformation Decade is based on the assumption that, to achieve self-reliance, Afghanistan will enjoy significant development contributions from the international community for at least another decade after 2014. In this context, I thank the Government of Japan for convening an international donorsâ€™ meeting on Afghanistan in July of this year in Tokyo. Building on the solid commitment to a secure and prosperous Afghanistan expressed at last yearâ€™s Bonn Conference, we will submit to the Tokyo Conference a strategic economic plan for more self-reliance in the decade beyond 2014. Our economic plan will aim to gradually reduce our dependence on international aid, utilize Afghanistanâ€™s own economic potentials, and achieve sustainable and equitable development for all our people. We will also move forcefully on implementing a comprehensive agenda for further reform and improving governance, including the development of strong and effective institutions of state. Weak institutions, the existence of parallel structures such as the PRTs and reliance on aid contractors have created a gap between the people and government institutions. We will phase out all parallel structures, improve public service delivery and fight the menace of corruption, whether it is within the Afghan Government or outside. In particular, in the remaining part of my term in office, I will continue to focus strongly on building a system of public administration that is apolitical, professional, clean and founded on the principle of job security for civil servants. The upcoming elections in 2014 is an important milestone in Afghanistanâ€™s political maturation, and will have significant impact on the long-term stability and consolidation of democracy in Afghanistan. Therefore, our elections must be marked by integrity and free from internal or external intervention. We are determined to take all necessary measures to ensure a smooth political transition, in full accord with the Afghan Constitution, and taking into consideration the aspirations of all segments of Afghan society for a pluralistic and democratic polity. We are grateful to all the countries, gathered here today, for reaffirming their commitment to the financial sustainment of our security forces beyond 2014. Afghanistanâ€™s security is fundamentally tied to the security of the region with implications for global security. A stronger Afghanistan, with capable and effective security forces, will be the lynchpin of stability and security in the region, and a reliable partner of the international community. Therefore, your contribution to the future development of the ANSF, for which we are very grateful, is a judicious investment in the defense of regional and international security. We, the nations contributing to ISAF, and the Government of the Islamic Republic of Afghanistan, met today in Chicago to renew our firm commitment to a sovereign, secure and democratic Afghanistan. In line with the strategy which we agreed at the Lisbon Summit, ISAFâ€™s mission will be concluded by the end of 2014. But thereafter Afghanistan will not stand alone: we reaffirm that our close partnership will continue beyond the end of the transition period. ISAF nations and Afghanistan join in honouring all those â€“ civilian or military, Afghan or foreign â€“ who have lost their lives or been injured in the fight for our common security and a prosperous, peaceful and stable Afghanistan. We pay particular tribute to the courage of the armed forces of Afghanistan and ISAF countries who live, train and fight next to each other every day. We are determined that all our sacrifices will be justified by our strong long-term partnership, which will contribute to a better future for the people of Afghanistan. We recall the firm mutual commitments made at the Bonn Conference on 5 December 2011, which form the basis of our long-term partnership. In this context, the Government of the Islamic Republic of Afghanistan confirms its resolve to deliver on its commitment to a democratic society, based on the rule of law and good governance, including progress in the fight against corruption, where the human rights and fundamental freedoms of its citizens, including the equality of men and women and the active participation of both in Afghan society, are respected. The forthcoming elections must be conducted with full respect for Afghan sovereignty and in accordance with the Afghan Constitution. TheirÂ Â transparency, inclusivity and credibility will also be of paramount importance. In this context, continued progress towards these goals will encourage ISAF nations to further provide their support up to and beyond 2014. The third wave of provinces to enter the transition process was announced by President Karzai on 13 May 2012. This means that 75% of Afghanistanâ€™s population will soon be living in areas where the ANSF have taken the lead for security. By mid-2013, all parts of Afghanistan will have begun transition and the Afghan forces will be in the lead for security nation-wide. This will mark an important milestone in the Lisbon roadmap. ISAF is gradually and responsibly drawing down its forces to complete its mission by 31 December 2014. The success of transition has been enabled by the substantial improvement of the ANSF since Lisbon in terms of capability and professionalism. Afghan soldiers are increasingly taking the lead in operations on Afghan soil. Afghan forces, both army and police, have proven able to maintain security in those areas which have Â already entered into transition. The completion of transition, however, will not mean the end of the International Communityâ€™s commitment to Afghanistanâ€™s stability and development. Afghanistan and NATO reaffirm their commitment to further develop the NATO-Afghanistan Enduring Partnership signed at Lisbon in 2010 in all its dimensions, up to 2014 and beyond, including through joint programmes to build capacity such as the Building Integrity Initiative. In this context, NATO and the Government of the Islamic Republic of Afghanistan will now deepen their consultations towards shaping the Enduring Partnership. ISAF, including the NATO Training Mission â€“ Afghanistan, has played a key role in taking the ANSF to the levels they have now reached. The Government of the Islamic Republic of Afghanistan reaffirms that NATO has a crucial part to play, with partners and alongside other actors, in training, advising and assisting the ANSF and invites NATO to continue its support. As transition of security responsibility is completed at the end of 2014, NATO will have made the shift from a combat mission to a new training, advising and assistance mission, which will be of a different nature to the current ISAF mission. Sustaining a sufficient and capable ANSF is the responsibility of the Government of the Islamic Republic of Afghanistan supported by the International Community. As part of the wider International Community, and building upon existing mechanisms, we will play our part in developing appropriate, coherent and effective funding mechanisms and expenditure arrangements for all strands of the ANSF.Â Â Such mechanisms will be flexible, transparent, accountable, cost-effective and will include measures against corruption. They will also distinguish between funding for the army and the police as well as for further capacity development within the relevant Afghan ministries and security institutions. As the Afghan economy and the revenues of the Afghan government grow, Afghanistanâ€™s yearly share will increase progressively from at least US$500m in 2015, with the aim that it can assume, no later than 2024, full financial responsibility for its own security forces. In the light of this, during the Transformation Decade, we expect international donors will reduce their financial contributions commensurate with the assumption by the Afghan government of increasing financial responsibility.